Tiziano is an automatic stainer for special stainings, H&E, and intraoperative stainings, ideal for use in Anatomic Pathology, Cytology, and Microbiology laboratories. 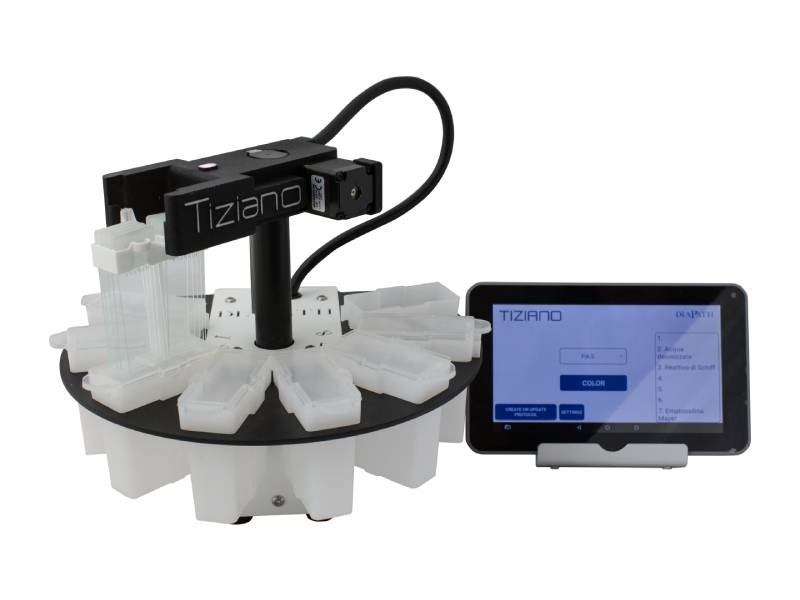 Due to its intuitive software and its small size, an extremely versatile and low maintenance instrument optimizes the space inside the laboratory. The automation allows a reduction in time by the operator eliminating manual processes and ensuring the standardization and reproducibility of the results.